Gods people need to hear a word from the Lord, to know their God is with them, and to transcend this world and be taken to the very feet of Jesus. The preacher is charged with assisting in this mission. While there may be different theological perspectives and different methods of sermon preparation and delivery, one thing remains constantthe need for quality preaching resources. 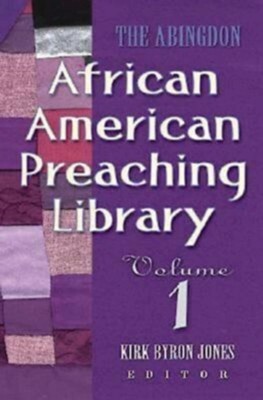 Drawing upon the rich and powerful tradition of the black church, The Abingdon African American Preaching Library offers a wealth of thoughtful, biblically grounded preaching aids, including special days in the Black Church tradition. Kirk Byron Jones holds a doctor of ministry degree from Emory University and a doctor of philosophy degree from Drew University. He is the author of several best-selling books for those seeking to grow spiritually in an ever-challenging world. Jones serves as adjunct professor of ethics, preaching and pastoral ministry at Andover Newton Theological School. Throughout his thirty-year pastoral ministry, he has also served on various religious and civic committees at the local and national level. I'm the author/artist and I want to review The Abingdon African American Preaching Library - eBook.